In January Outwood Academy Danum embarked on a week of exciting and engaging activity to launch the HeppSY+ programme across their school. The launch fitted perfectly with the Outwood ethos, a fully inclusive learning environment, and their mission statement “Students First”. Week commencing Monday 22 January to 26 January 2018 was dedicated as an official whole Academy HeppSY+ Launch Week. 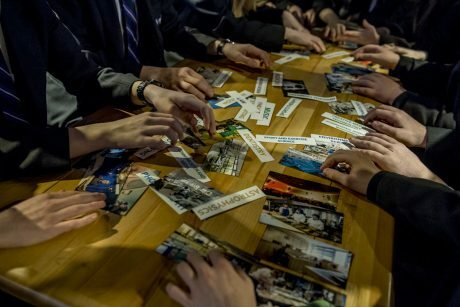 An exciting and varied timetable of events took place throughout the week to inform and encourage students of all ages to consider higher education as a future progression route. Activities included the introduction of their #hellofuture hashtag and programme, vertical mentor group (VMG) continent assemblies, VMG activities, guest speakers, careers advice, university representatives and the HeppSY+ Mobile Classroom, as well as competitions and a mobile photo booth to encourage students to talk about and share their career aspirations. 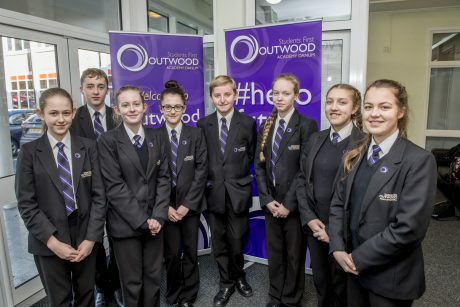 The students at Outwood Academy Danum were very receptive to the activities throughout the week and enjoyed meeting the various representatives who visited the Academy. They were very keen to share their future aspirations and have their photographs taken in the photo booth. 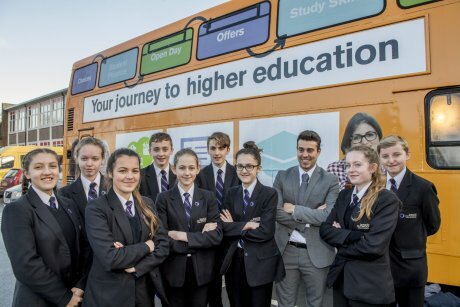 The HeppSY+ mobile classroom ambassadors were impressed by the cohort of students who got on board the bus, with the students focused and engaged with the sessions delivered. The Academy produced an informative higher education leaflet for parents which was distributed at a whole school parents evening. 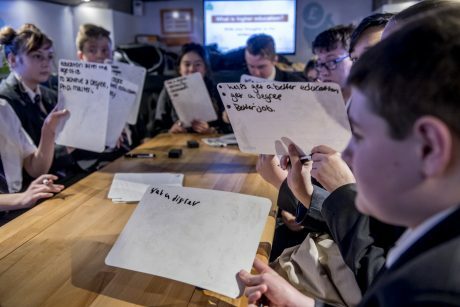 In collaboration with HeppSY+ and CareersINC Outwood Academy Danum have activities planned throughout the upcoming academic year which will provide students with important information, advice and guidance to enable them to make informed choices about their futures.